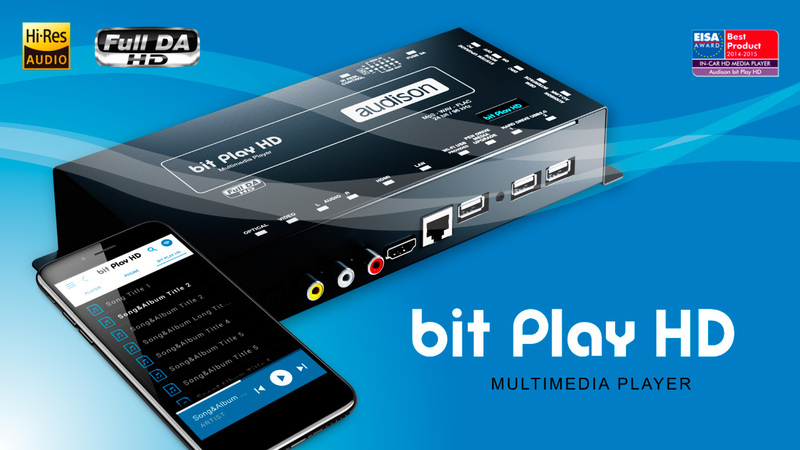 We would like to inform you that the Media Firmware 2.0 and Control Firmware 2.0.0.2 for Audison bit Play HD are now available. Please note that in order to avail of these updates you must have previously replaced the Wi-Fi Dongle of your bit Play HD with the one available for free at your trusted Audison retailer. The updated dongle is the one in the picture below: made by Comfast, model CF-WU825N. The graphic layout has been completely redesigned to make it more functional and suitable for in-car applications, even with small screens. New graphics for improved usability. Version dedicated to tablet and smartphone to take full advantage of the screens potential. “Pairing” function to protect the device from undesirable external connections with password reset. Version for Android and Apple tablets with screen rotation function. This feature allows the 4G connection to remain active while using the APP to control the bit Play HD. This function enables the streaming of audio files from Apple devices to the bit Play HD using iTunes. The bit Play HD can be controlled via the Audison DRC MP remote (play, stop, skip, selection) when connected to an external monitor. Up to one hour after switch off, upon turn on, the bit Play HD will play the track being reproduced when turned off from the same point.